BuySend is a UK based online retailer that started off on eBay and has grown to become one of the largest e-retailers in the UK that sells through eBay, Amazon, and their own web site. I recently had the chance to check them out and try out a few of their products. The company's focus is on selling local products at a fair price. And, just because all the prices are listed in pounds (£) doesn't mean you can't pay them in US dollars ($). 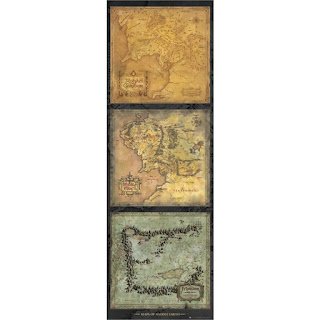 One of the items I tried out from BuySend is a door-size poster of Middle Earth (from The Hobbit). My son just recently wrapped up reading the final book from the Harry Potter series. In my mind, at least, it seemed like The Hobbit would be a natural follow-on series to read. And, having the Middle Earth map as a door poster seemed like a great way to get him excited about the book. The poster arrived fine, packed in a round cylinder, a little under two feet long. The poster itself is roughly 21 inches by 62 inches. I say roughly as the poster is from the UK and sized to centimeters not inches in the description. Here's where the interesting part happens. I tried to hang the poster up at work. I sit right next to a large 3 foot by 3 foot post/pole that goes the full height up to the ceiling. The pole seemed like the perfect spot to hang it. Ran into a slight problem though. The tape on the pole couldn't hold up the poster. I tried several different kinds of tape. Nothing would stick. I barely had the poster hanging up when it would immediately come down with little to no effort. 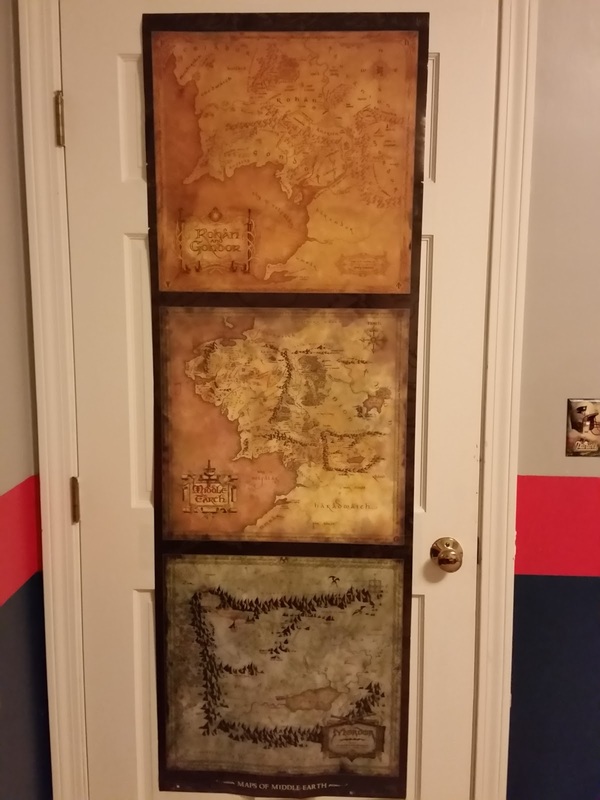 I eventually gave up and took the poster home to hang on my son's door, shown above. He loves it and is searching out the different locations on the map as he reads the story. 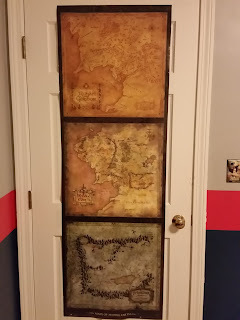 The poster is hung right next to a Harry Potter Gryffindor Printed Banner which is the other BuySend item I received to try out from the site. My son loved that one, too. But, what about the site? BuySend sells close to 50,000 products. As a point of comparison, Amazon sells over 250 million. Why go to one over the other? There is still the BuySend Storefront on Amazon, so they're fine with you buying from them through Amazon. The site is pretty much a centralized way for customers to see all they have to offer, as they do offer a good number of products. And, the site allows them to keep more control over the customer experience, something you can't do as a third party seller on sites like Amazon and eBay. If you don't like their interface on those sites, too bad, you can leave.